Peter Tatar was born in Cremona, Italy, in 1949. 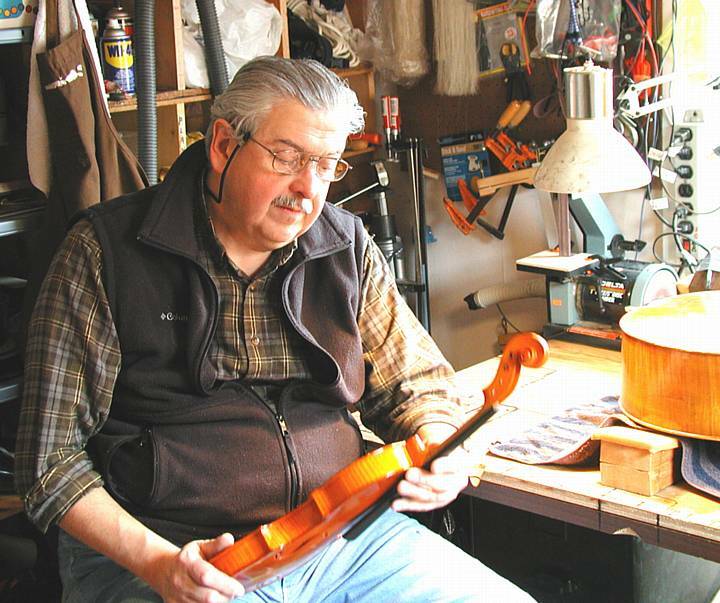 He learned his craft under the tutelage of his father, Pietro Tatar, the Hungarian-born master violin maker who headed the International Violin Making School of Cremona* for fifteen years. (During his tenure he won a Gold Medal, diplomas and honorable mention in many world class competitions; several of his pupils are world renowned makers.) For fifteen years the Tatar family operated their "Cremona Violin Shop" across the street from Carnegie Hall in New York City. 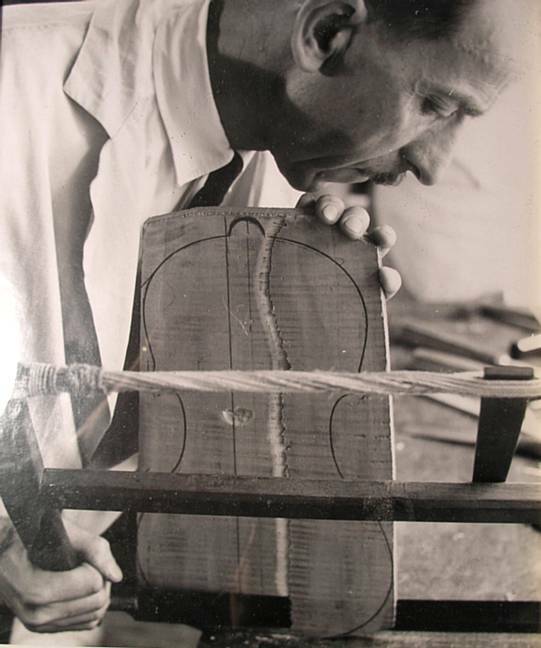 Peter's knowledge of instruments and bows of the violin family has accumulated since his early childhood while laboring in the Tatar store and from his own studies in Cremona. 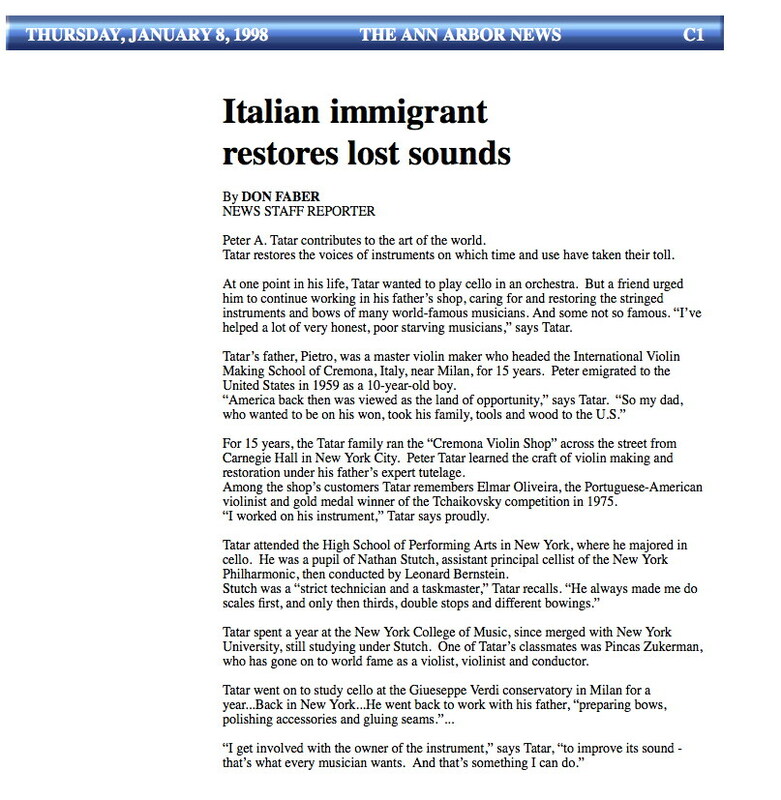 Peter Tatar also attended the famous High School of Performing Arts in New York City, where he graduated in music with a major in violoncello. He was a pupil of Maestro Nathan Stutch, assistant principal cellist of the New York Philharmonic. Peter has since worked for three major U.S. stringed instrument importing firms and a renowned violin shop in Richmond, Virginia. Most recently he was with Shar and, after working solo for a while, he has now moved to Nashville, where he has teamed up with a fiddler and started a new business. More details as they become available.